Vinyl version will be released on May 31 as 180 gram LP on transparent red vinyl on Minority RecordsFeel free to pre-order the album right there! The acoustic-electric sibling duo Dva was founded in the spring of 2006 near Třebechovice pod Orebem Nativity. Now they operate in Pardubice and Hradec Králové. They characterize themselves as Pop of non-existent radios. This spirit is also mirrored in their third album HU. During their four years of existence they performed more than 250 concerts in the Czech Republic and abroad (Réunion, Slovakia, Russia, France, Norway, Spain, Germany, Italy, Serbia, Austria, Poland, Hungary…). They accompany live the theater performances of dance group VerTeDance – Emigrantes, silent movie The Cabinet of Dr. Caligary (in 2008 under film festival Project 100) and short movies by Georges Méliés. They also cooperated with Teater DNO, Theater Husa na Provázku and Theater Dejvice. Currently the duo works on music for documentary films by V. Klusák: Vše pro dobro světa a Nošovic/All for the Good of the World and Nošovice and M. Ryšavý’s documentary Medvědí ostrovy/Bear Islands. In 2007 the duo founded their own “kitchen” (DIY) label called HomeTable where they publish local albums (Kollektt8). In 2008 the album of ringtones called Ringtones for Mobile Uphones was released and is freely downloadable on the label’s site Surreal Madrid. Bára Kratochvílová – vocals, clarinet and bass clarinet, saxophone, melodics, wind “midicontroler” and other toys. Jan Kratochvíl – guitar, banjo, looping, kitchen beatbox and vocals. Dva are two, sometimes more. Concerts are often accompanied by live projector screening (Markéta Kratochvil or Mirek Kratochvil). The third album of the duo Dva bears the name of HU (short for Hungary, or fifth most common surname in the world, an ancient Egyptian first word for “god” or a kind of goat). But in their language, for Dva it also means the first syllable pronounced by a human being as well as the sound of monkeys and owls. 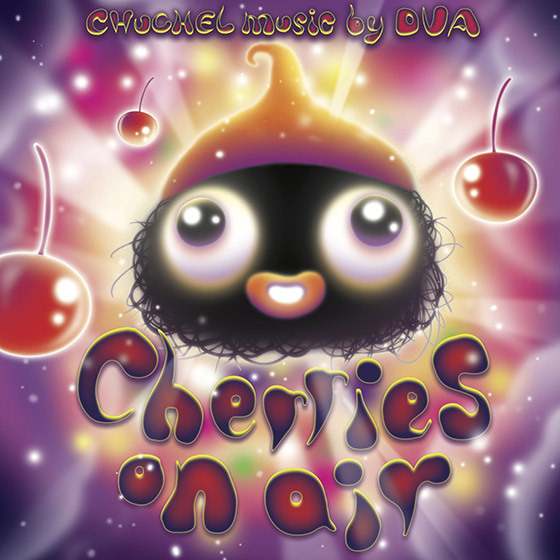 After the previous concept of folklore of non-existing nations with which they worked on the album Fonók (2008, Indies Scope), Dva come with the concept of pop of non-existing radios. For collaboration on this album they again chose the Berlin producer Jayrope.